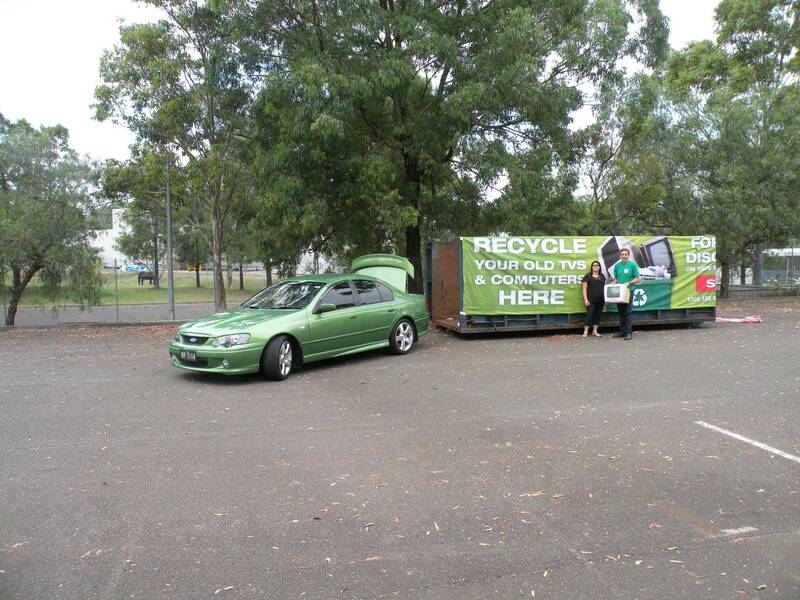 The Sharp Corporation of Australia collected over 20,000 kilograms of e-waste at community-focused recycling drive at its Huntingwood, Sydney, head office last weekend. The event was timed to coincide with Earth Hour. “We would like to thank all the local businesses, community members and Sharp staff, who supported this initiative,” said national marketing manager Mark Beard. “Managing the product life cycle from cradle to grave is an important part of Sharp’s ongoing environmental stewardship commitment. Should vendors be taking the lead on recycling? Should consumers do more? Tell us what you think. Sharp staff promoting the event (click image for a closer view).